Pakistan’s new foreign minister is only 34 years old. 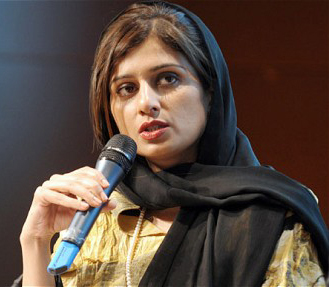 But that’s the least surprising factor of the new minister, Hina Rabbani Khar, who has been promoted from junior minister to the cabinet. In a deeply-conservative Pakistan, it’s the first time a woman has been appointed as a foreign minister. The mettle of the soft minister will be tested over the next few days when Khar travels to Bali and New Delhi. On 22 July, she will lead the Pakistani delegation at the ASEAN Regional Forum in Bali, Indonesia. There, the young minister is also expected to meet her Indian counterpart, S.M. Krishna. Incidentally, India’s foreign minister Krishna is going strong at 79 years. After her Indonesian trip, Khar will reach New Delhi on 26 July to take part in the two-day foreign minister-level talks between India and Pakistan. The contentious issue of Kashmir is likely to figure prominently in the talks. Hopefully, the participants will live up to the expectations — and excitement.